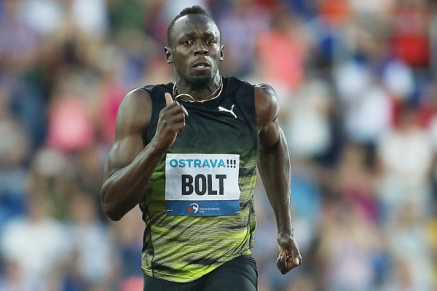 28th June 2017 – In his final competitive season Usain Bolt (JAM) made one final visit to the Golden Spike in Ostrava. This was the ninth time Usain has raced at this meeting, winning on the previous 8 occasions and he was in no mood to throw his perfect record away. Moving in to the lead just after the 50m mark of his 100m race Usain eased to the finish crossing the line in 10.06 seconds. From here it was just about saying thank you to the crowd and fans that have showed him so much love and support over the years. A rousing rendition of the Jamaican national anthem closed a wonderful evening and another chapter in Usain’s glittering career. Sir Mo Farah (GBR) was also a winner on the night as he once again controlled the latter stages of the 10,000m before moving away over the final lap to take victory. Mo’s winning time of 27:12.09 was the third fastest time in the world this year and means he remains unbeaten over the distance since 2011. Timothy Toroitich (UGA) was third in the same race.